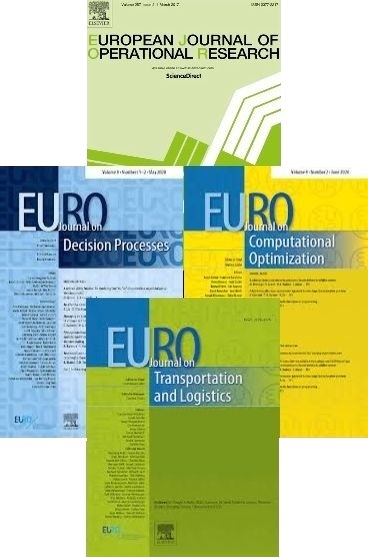 The EURO Journal on Computational Optimization publishes research articles, tutorials and surveys exploring the many areas in which Operational Research and Computer Science are tightly connected to one another. The common element in all contributions chosen for publication in the journal is the use of computers for the solution of optimization problems. Coverage includes both methodological contributions and innovative applications, typically validated through convincing computational experiments. To submit a paper or get online access to the journal, visit the journal page at Springer. This journal offers authors a choice in publishing their research in Open access or by Subscription. Regardless of how you choose to publish your article, the journal will apply the same peer review criteria and acceptance standards.